Meet our office manager, Heidi Edwards. 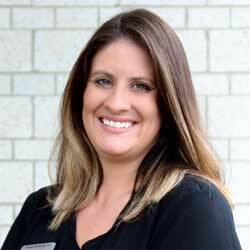 Heidi has been involved in optometry since 2010. Heidi began here optometric career in 2010 as a patient representative and has since developed a wide variety of skill sets allowing her to oversee and maintain clinical function as a whole. Heidi has an extensive background in office management, specifically in private practice. Heidi goes above and beyond to cultivate a positive healthcare experience for patients and a comfortable work environment for our staff. Outside of clinical responsibilities, Heidi enjoys spending time with her husband and two dogs, and browsing through any Mustang car show she can find.